On Apr. 21, the New York Times broke the news of a massive bribery scandal involving the operations of multinational retail giant Walmart in Mexico. Reportedly, Walmart of Mexico had spent millions paying off officials there to facilitate the entry of their big box stores and other operations into cities and towns around the country. In this way, Walmart was able to displace other small- and medium-sized retail operations and become by far the largest retailer in this country of 109 million inhabitants. That story led to widespread denunciations in the U.S., and calls for further investigations and, possibly, legal action. It has also led to a revival of interest in the many criticisms of the giant corporation’s business practices in the states. The revelations caused no surprise in Mexico. The accusations, which Mexican workers, small businesspeople, and others have leveled at the giant range from desecration of the important Mexican archeological site of Teotihuacan to the introduction of genetically- modified foods. Walmart is also accused of destroying thousands of small and medium sized competitors, undercutting them with its low labor costs. But the two biggest complaints about Walmart in Mexico concern the privileged treatment it has been accorded at all levels of government, and abusive labor practices. Revelations in the Mexican press show that Walmart has received favored treatment from federal governments starting with that of President Carlos Salinas de Gortari in ’91. Walmart has been given tax breaks, the result of which have had it paying a fraction of the taxes paid by some native Mexican enterprises. In this way, Wal- Mart has been able to build an empire of 2,095 stores in Mexico, with new ones opening practically every day. The labor abuses are shocking, but in line with general labor conditions in Mexico, a country that has enlightened labor laws that are completely vitiated by non-enforcement and weak unions. 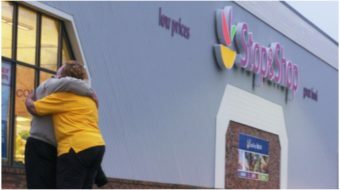 A 2005 study by the Project for Economic, Social, and Cultural Rights revealed violations of the rights of women workers, similar to those of which Walmart operations in the U.S. have been accused. In every Walmart operation in Mexico, one finds that baggers and the people who watch the cars in the parking lot are minor children, none more than 16 years of age. These young people are “volunteers” who receive neither pay nor benefits, and have no enforceable labor rights. They survive entirely on tips. Enrique Bonilla Rodriguez, coordinator of the organization “Frente Nacional Contra Walmart” (National Front Against Walmart) calculates that around 30 percent of the total labor force of Walmart in Mexico is working for tips and without wages or benefits. Further, he accuses Walmart of making these “volunteer” workers kick back big chunks of the money they get from tips to the company. His organization calculates that this represents an extra savings in labor costs to Walmart of about $85 million since 2006. 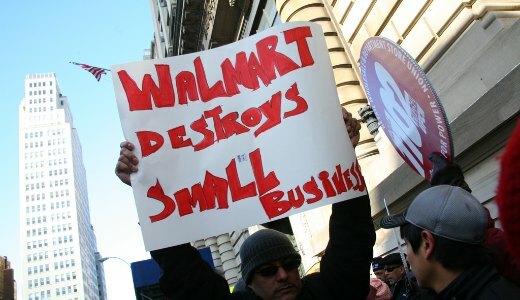 Walmart’s Mexican subsidiary, WalMex, justifies this by pointing at the low prices it is able to pass on to consumers. Another accusation is that Walmart in Mexico keeps its labor costs down by having rival corrupt unions bid against each other for the right to provide workers to the company. As in many other Mexican enterprises, employees who object to this setup risk ending up in the street. The Mexican government contributes to this state of affairs by making sure that independent unions, which really stand up for the workers, are repressed. When this story broke, the government of right-wing President Felipe Calderon, of the National Action Party (PAN), stated that it did not plan to even investigate the situation because any bribes that had been paid had gone to state and local, and not federal officials. This brought howls of derision from the opposition, so the latest news is that the Mexican government says it has asked the U.S. government for any information the latter may have about the involvement of Mexican federal officials in the bribery. This is an election year in Mexico and the PAN’s presidential candidate, Josefina Vazquez Mota, is badly trailing the candidate of the formerly ruling Revolutionary Institutional Party, PRI, Enrique Peña Nieto. 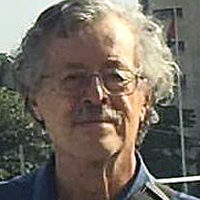 The candidate of the left, former Mexico City Mayor Andres Manuel Lopez Obrador, is currently vying with Vazquez Mota for second place. The main issues in the election, besides economic basics, include Calderon’s failed drug war, which, by putting the army into the streets, has not stopped the depredations of the feared cartels, but has helped to drive the death toll up to 50,000 people. The Walmart story began on the PRI’s watch but the bribery documented by the New York Times took place during the PAN administration of Vicente Fox. So if this story continues in the headlines, it is bad news for the governing party.